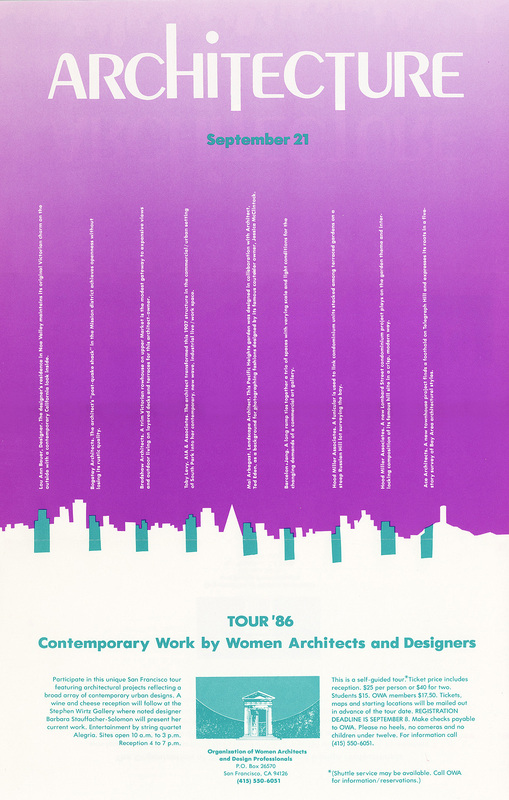 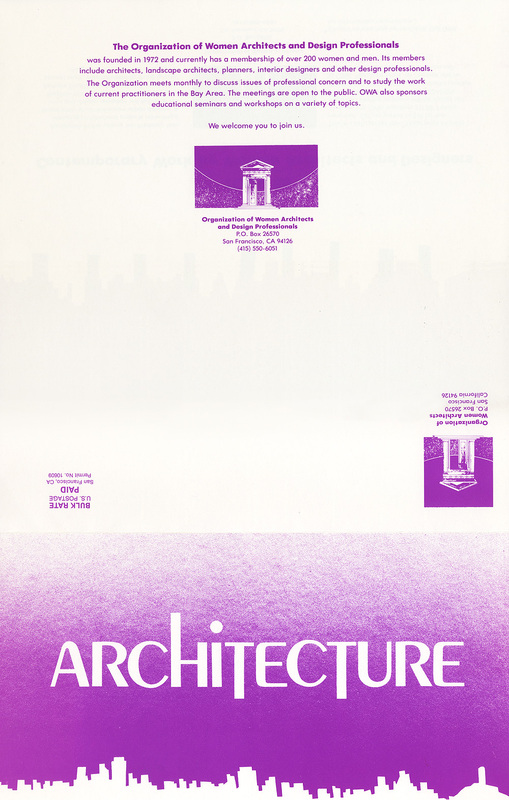 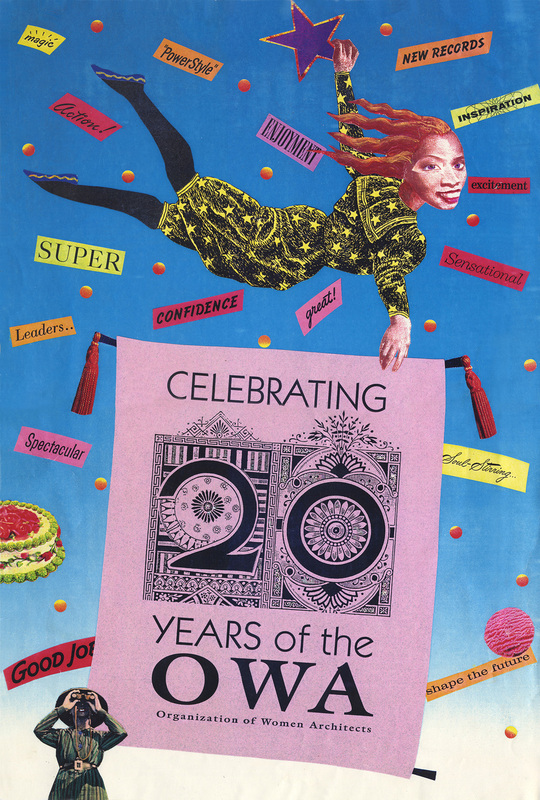 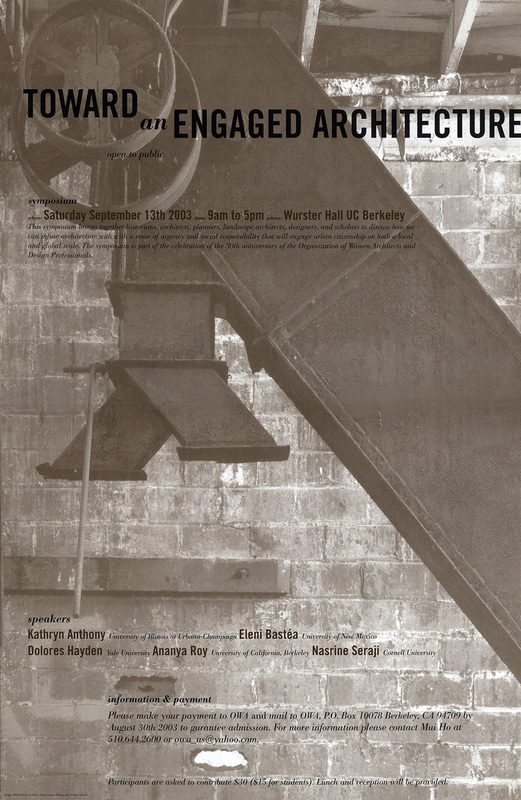 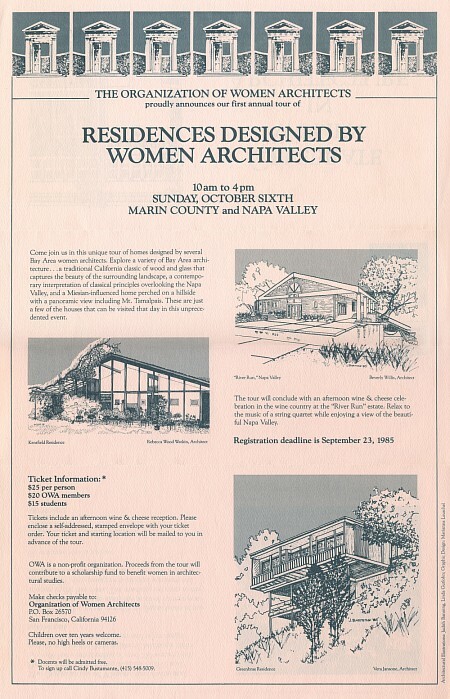 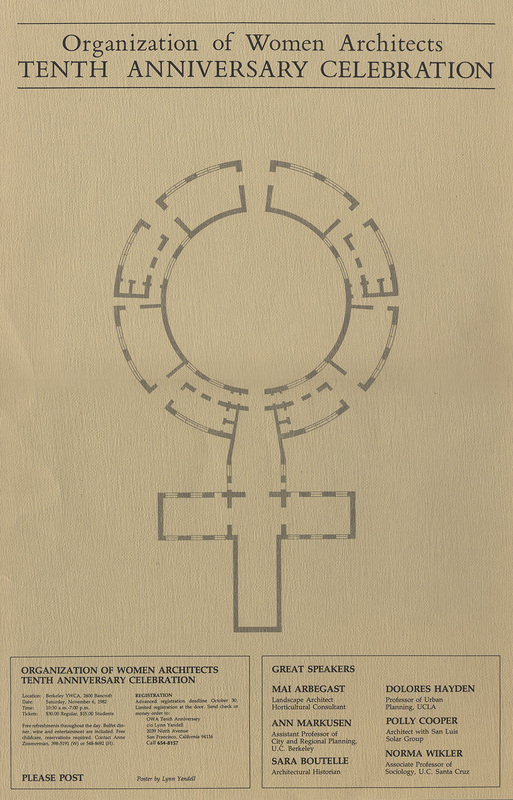 The OWA Produced several posters in its early years. 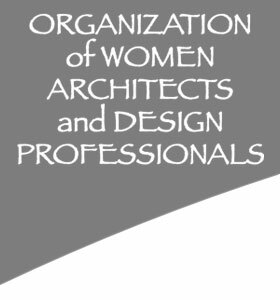 We have added as many as we can find here. 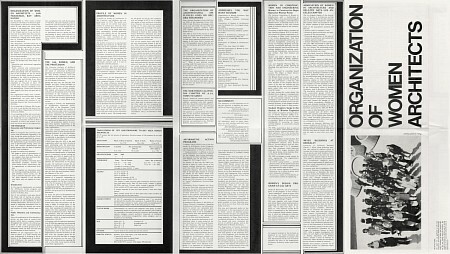 Clicking on any of the posters will bring up full sized pdf reproductions. 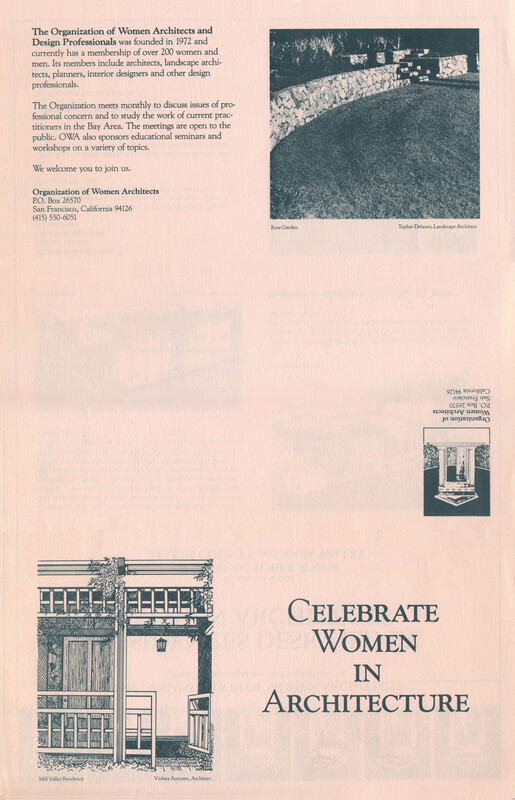 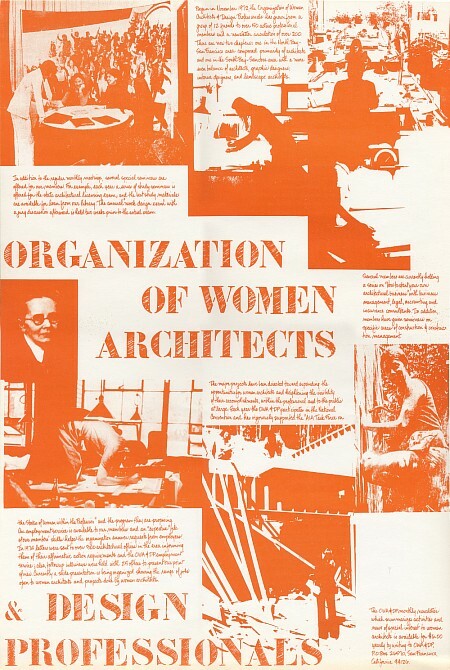 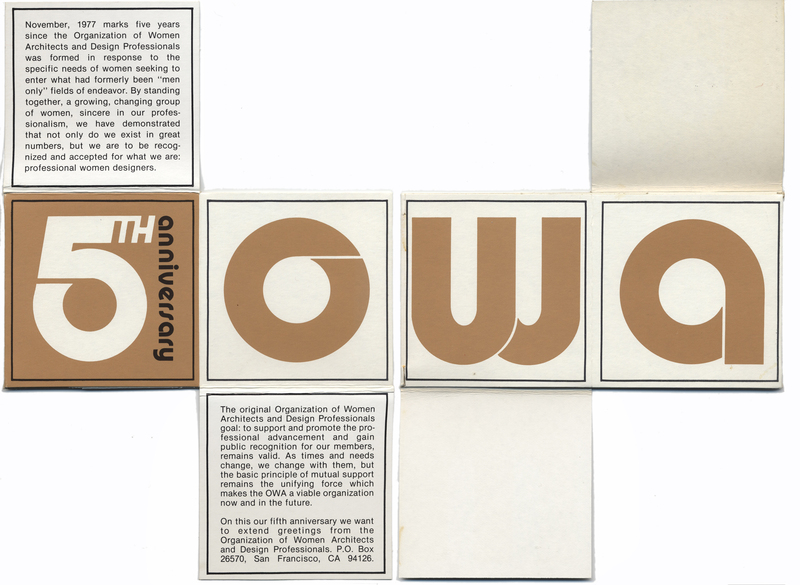 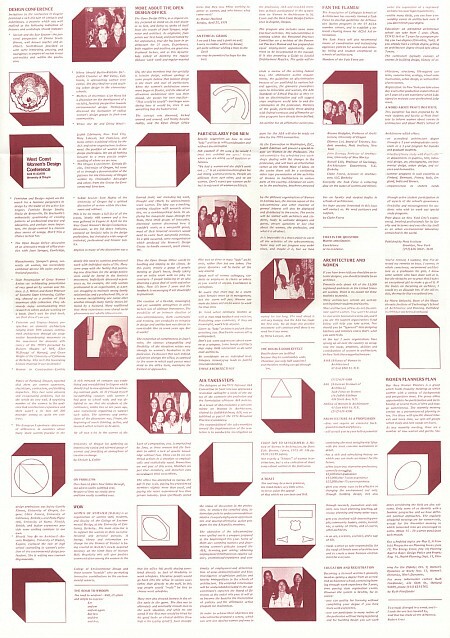 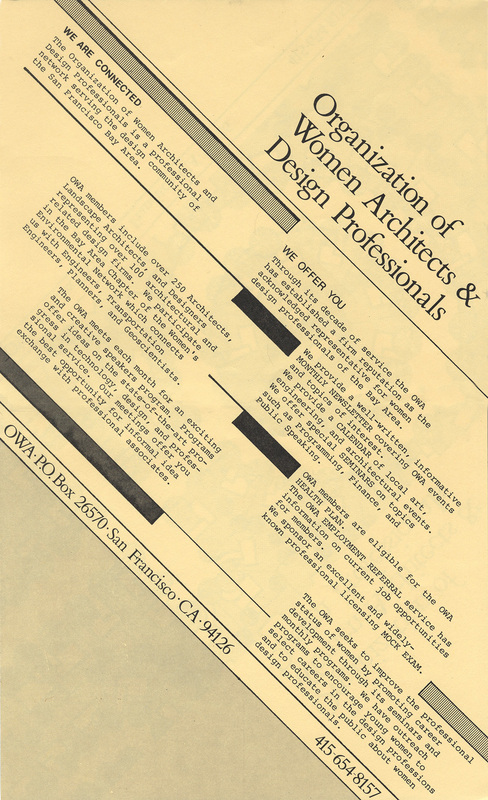 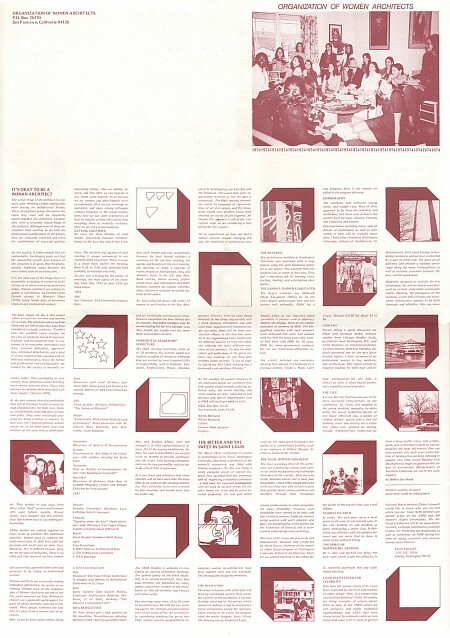 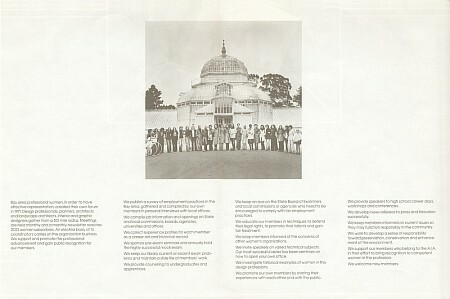 The first OWA poster in 1973 - actually a one page newsletter and manifesto. 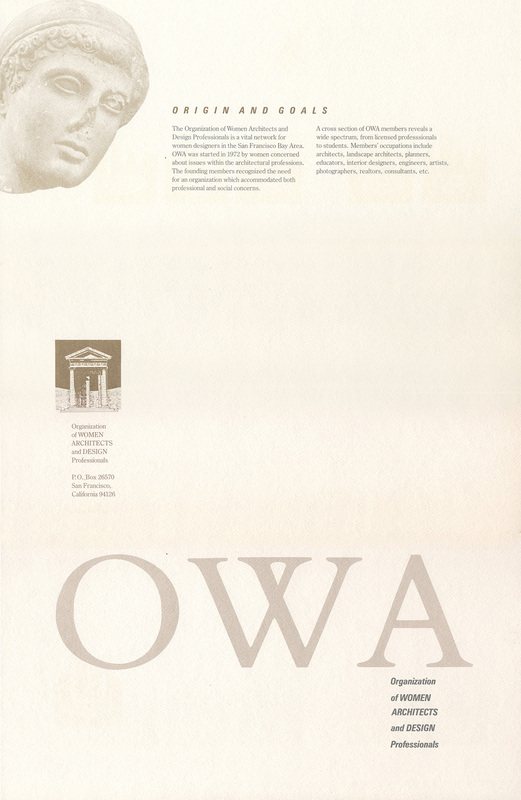 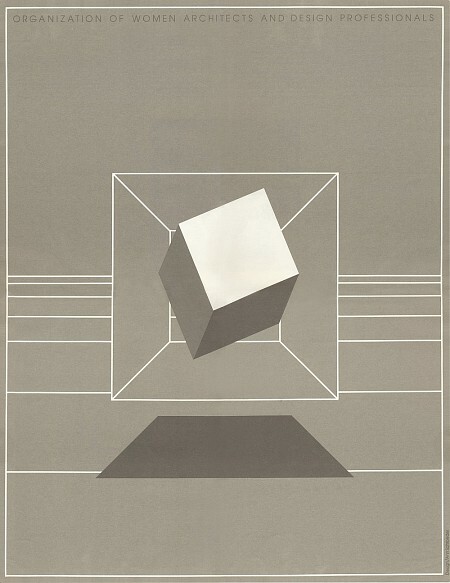 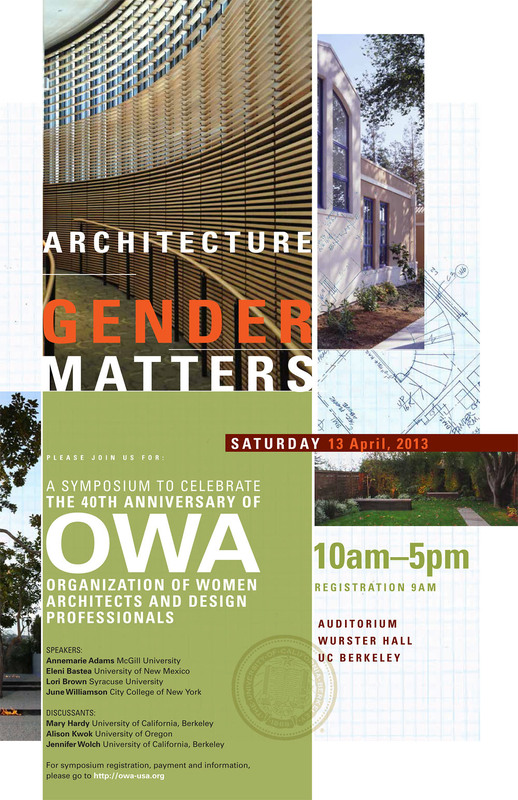 Not exactly a poster, this fold-up cube was made for the 5th anniversary of the OWA and ushered in a new logo. 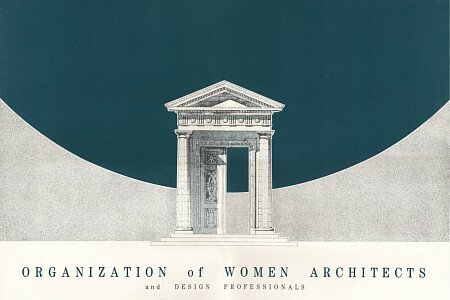 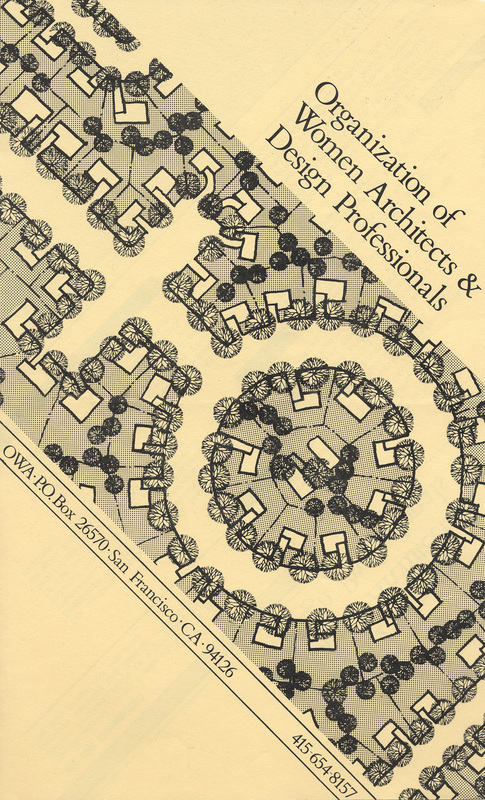 This poster was done by Carlos Villalva using a drawing done by Julia Morgan. 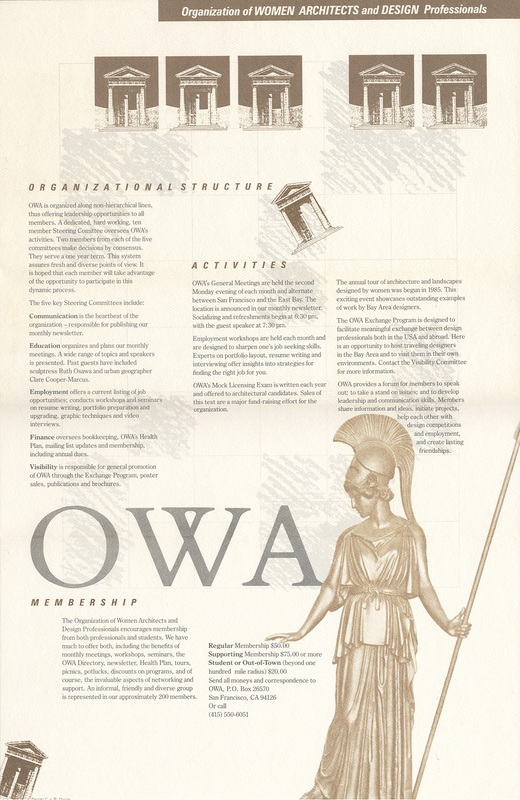 A portion of it was subsequently used as the owa logo.